A.B. 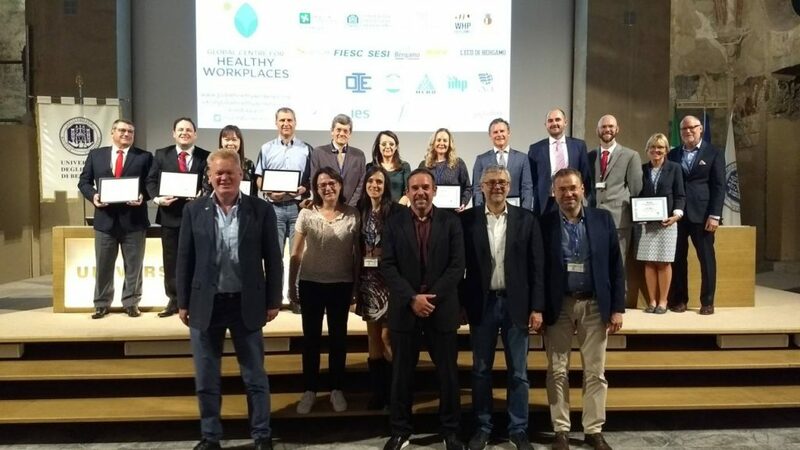 May was selected as the winner of the Global Healthy Workplace Awards and Summit in Bergamo, Italy on Friday, Sept. 7. Winners are chosen each year from thousands of applicants in three size categories by an international panel of expert judges. Benefits specialist CBIZ nominated A.B. May for the award. A.B. May won the Small and Medium Enterprises category and was the only U.S. organization recognized this year. The Awards recognize workplaces that have well-being at the center of their culture. Judges look for highly integrated commitment to workplace health in addition to healthy ideals such as workplace environment, health resources, and community involvement. Finalists are also selected based on the ability of other organizations to replicate their success. A.B. May has been developing a well-being program since 2011. Leadership has created a positive culture with access to all kinds of personal wellness resources: an onsite gym, healthy food market, personal finance coaching, weight loss support, and more. An employee-led team creates social events around holidays and organizes meal support for those struggling with sickness or loss. In addition, regular surveys keep a pulse of issues that need to be addressed. The Global Healthy Workplace Awards are organized and hosted by two international partners; Wolf Kirsten International Health Consulting and i-genius. Launched in 2013, the event is open to all kinds of organizations from any nation. For more information about the award, visit Kansas City Business Journal and Global Healthy Workplace.